Tafxnaf, a film created and produced by Maltese and Gozitan Form 2 students, premieres during this year’s edition of the Valletta Film Festival. Tafxnaf is a project created by Valletta 2018 in collaboration with Leeuwarden 2018 and Aarhus 2017. This project gave young students the opportunity to express themselves through storytelling, during a number of workshops held in 2017. Form 2 students in schools across Malta and Gozo were invited to share and publish their thoughts and dreams in story form, both by writing and drawing, with the help of Personal, Social and Career Development teachers. 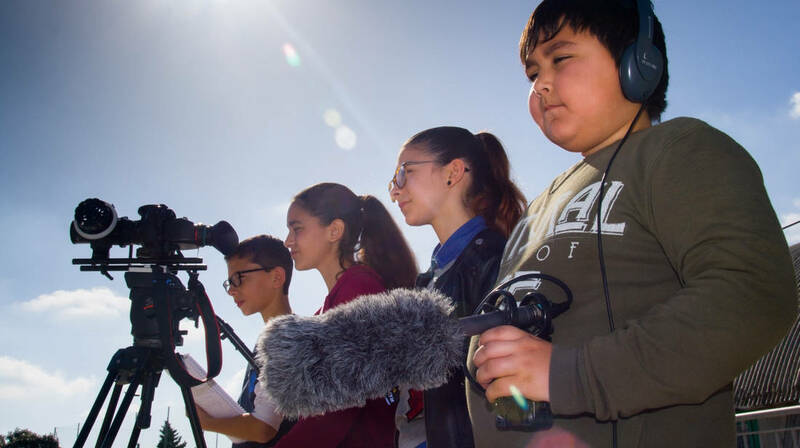 These young authors were invited to a series of workshops in which they were taught about appreciation of film and were also given training on how to convert their stories into film. Five teams of students subsequently created and produced a film during the summer of 2017. This project involved young people at all stages. The film produced will be premiered on Saturday 9th June during the Valletta Film Festival 2018. The film will also be screened for free for the general public on Sunday 10th June at 14.30 and on Friday 15th June at 16.30, at the University Valletta Campus Theatre (entrance from Merchant Street). Bookings may be placed through https://www.vallettafilmfestival.com. For more information visit valletta2018.org.